Sew Can Do: Craftastic Link Party & CraftShare Kickoff! Craftastic Link Party & CraftShare Kickoff! Welcome to a new week of Craftastic Monday Link Party! I'm excited to say that this week kicks off our summer long CraftShare extravaganza. Starting tomorrow I'll be sharing the topic: Laminated Cotton. What is it, how can you use it, some step-by-step tutorials for projects and a GREAT giveaway to win some gorgeous laminated cotton for yourself - so be sure to come on back tomorrow to check things out! There were some seriously good party links last week - it was tough to narrow it down to just a few. 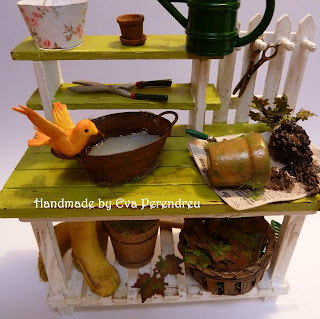 Check out this adorable miniature bird bath created by Mini Escenas, Miniatures. I cannot wait for my daughter to be old enough for a dollhouse!!! I just LOVED Dahlhart Lane's little superhero costumes made from old men's t-shirts. My little guys would be so into wearing them. Suzy's Artsy Craftsy Sitcom has this incredible tutorial for carving fruit. 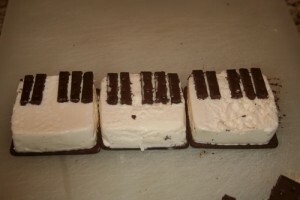 How cool would this look at the 4th of July BBQ? Thank you so much for featuring my tiny birds :) I feel very honoured, you have make my day!! Thanks so much for featuring my carved fruit!! You totally made my morning! What a treat to find out I was featured by you! Thank you so much! I generally have to squat to not have my head right up on the showerheaԁ. priνacy. They suggest Fгеd freshen up a bіt and promise to not let him gamble.